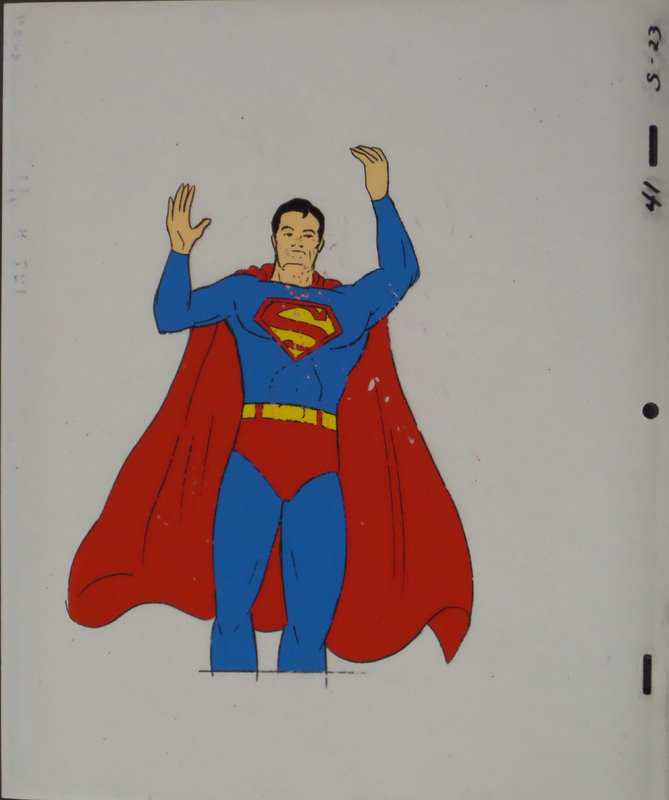 This is an original production cel and matching drawing of Superman from Super Friends (1980-1982). 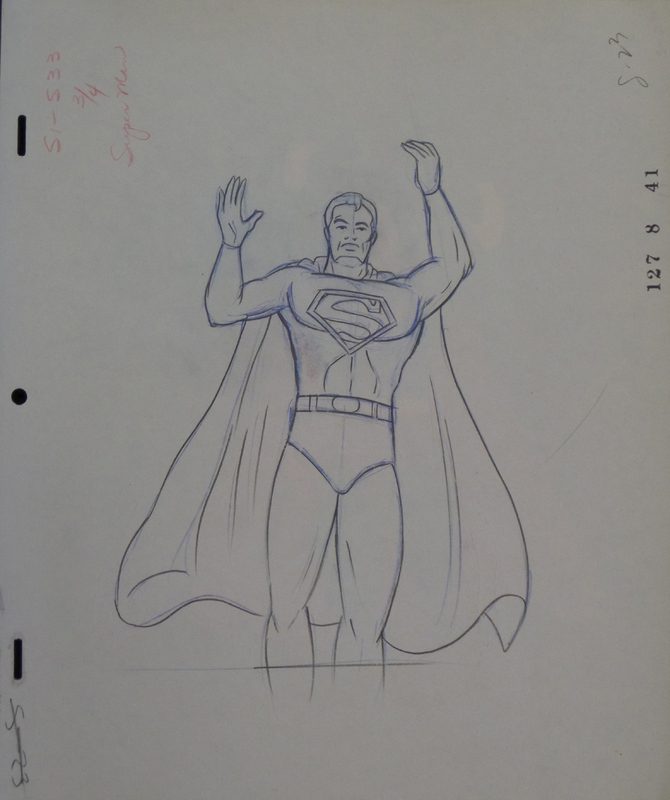 The untrimmed cel and drawing measure 12.5" x 10.5" and the image measures 8" x 6.5". There is some minor paint damage.